Solares founders Tom and Christine have designed and built their own home! 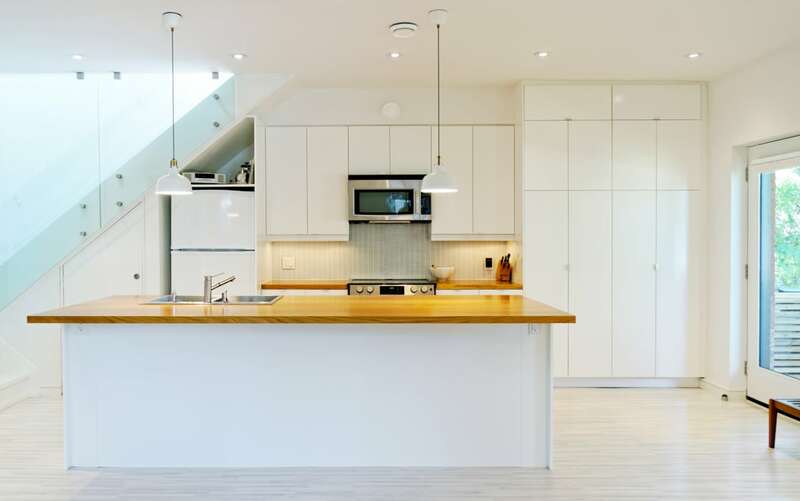 This gut renovation transformed an existing house in Toronto's Roncesvalles Village into a healthy, sustainable 3-bedroom home with basement rental suite. This Solares showcase employs innovative sustainable construction materials and methods. The main floor has been opened and highly efficient building systems have been installed, with new insulation and windows, and healthy interiors. At only 450 sq.ft. per floor, clever design makes this house a beautiful and functional home for a family of four.